Synopsis (From Goodreads): For as long as Alice can remember, she has dreamed of Max. Together they have traveled the world and fallen deliriously, hopelessly in love. Max is the boy of her dreams—and only her dreams. Because he doesn’t exist. It's been a while since I read a book as whimsical and daring as Dreamology. The concept in and of itself is so unique, with characters just as lively and individual. It had humor, it had romance, it had heartbreak, you name it, it probably had it. The story is about a girl named Alice and her nightly dreams of the perfect guy and the adventures they go on with one another. At night, Max is Alice's boyfriend as they run through the jungles of the Amazon or flounce around the exhibits of the Met. But each morning when Alice wakes up, Max exists only as a part of her dream world -- that is, until she starts her first day at a new school, and suddenly the Max of her dreams is sitting front and center in her psychology class. But real-life Max isn't the same Max Alice has known her whole life, and as they dig deeper as to why their dreams became intertwined in the first place, they may wind up discovering more than they originally had hoped for. Alice is such a charming and relatable character, with a sense of humor as whip-smart as she is. Her charisma seeps off of every page, and you can't help but root for her and Max as the story progresses. Speaking of, Max is in every aspect a golden boy -- but this doesn't mean he has no flaws. Full of boy-next-door charm, Max is enigmatic and ever-changing. I never could quite put a finger on who he really was unless he was around Alice; and only then did I see the more genuine and heartfelt side of him. Oliver is as quirky as he is cute, and his humor matches that of a satirist in a tutu. He reminded me of a golden retriever puppy in a lot of ways. 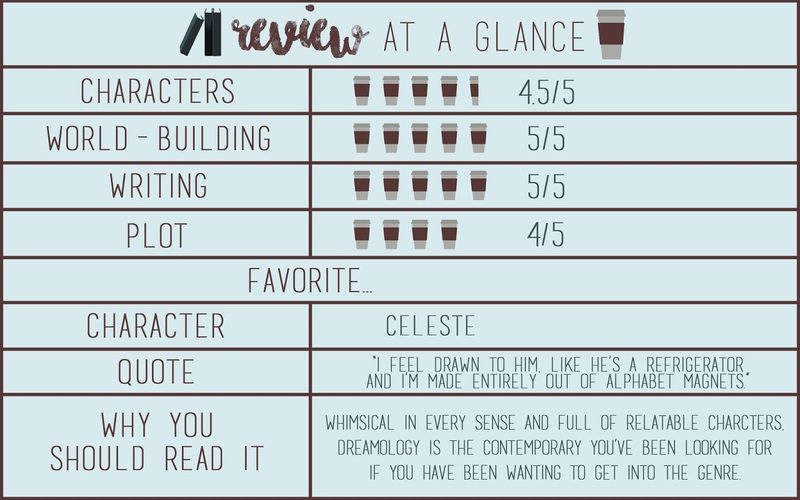 I also loved the characters of Alice's dad, Celeste, and Sophie for the dynamics they each brought to the table and how they played an integral role in furthering the plot. 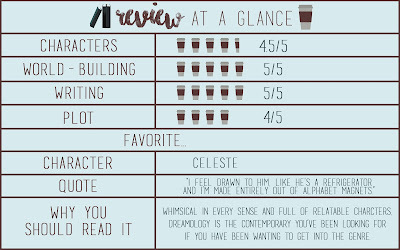 Celeste in particular was my favorite character, likely because of her down-to-earth and easygoing nature, as well as her personality and style being so realistic and relatable, rather than a flat side character who only serves to move the plot along. As for the overall concept, I couldn't have been more delighted. I have said this often before, but I just don't read much contemporary/romance unless it's got something outstanding that sets it apart from most slice-of-life pieces, as was the case here in the fantasy element of dreamwalking. This one surely did not disappoint. The element of dreaming and psychology stirred a deep interest in me, one that was inherently fascinated by the scientific side of things in such a well-thought out work of fiction. The writing was phenomenal. Metaphors as grand as hot air balloons or as minuscule as alphabet magnets (see: my favorite line) furthered the story by relaying a sense of Alice's personality seeping into the tale. 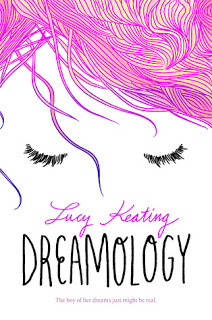 Though the execution at some points felt a little bit back-and-forth, in the end Dreamology was a story I can very well see myself reading over and over again. i'm so glad you enjoyed this book! it's probably the only contemporary that i've read and thoroughly enjoyed!! it's so well done. I so enjoyed it and I am beyond excited for The Sun is Also A Star!